deviation (sport or mutation) from the normal appearance is seized upon, propagated, shared and bragged about. zonale lycopodioides, a member of the Zonales section of the genus Pelargonium. 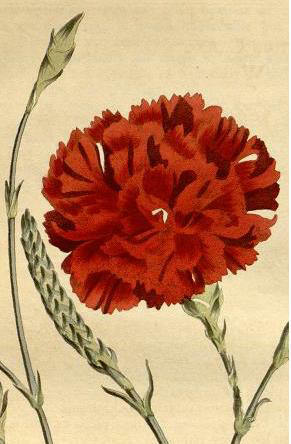 A week later, 24 Jan 1874, a translation in English of M. Carrière’s article appeared in The Gardeners’ Chronicle. 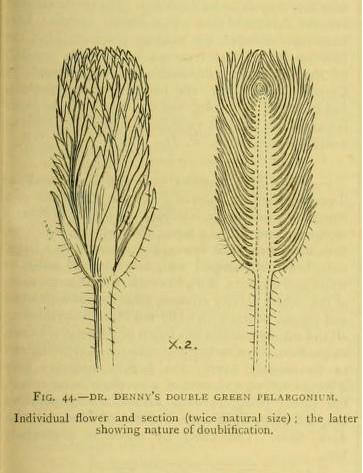 structure was illustrated in Curtis’ Botanical Magazine in 1814 (vol. 39, plate 1622). 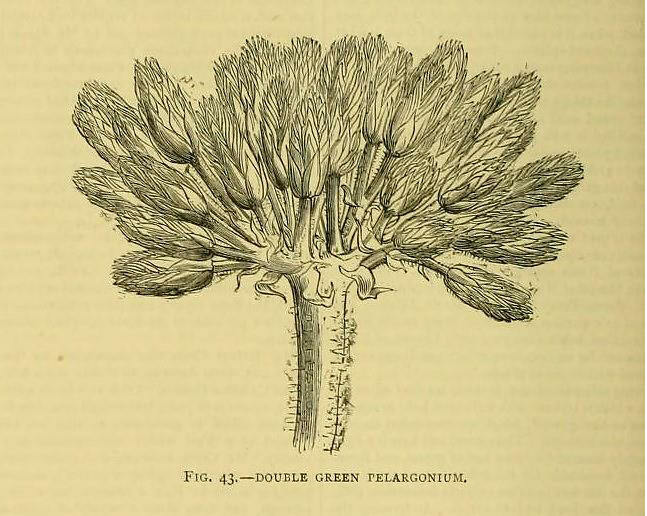 Pelargoniums which had been selected from 30,000 seedlings (Gardeners’ Chronicle, July 1880, p. 7). He died in 1881. An ivy/zonal hybrid cultivar was named after him in 1878 (The Florist and Pomologist, June 1878, pl. 468). has made its way across Europe and can now be found as far away as Russia. Pelargoniums (http://www.perfect-pelargoniums.com/ , 5 Sept. 2011). section Pelargonium of the genus Pelargonium. 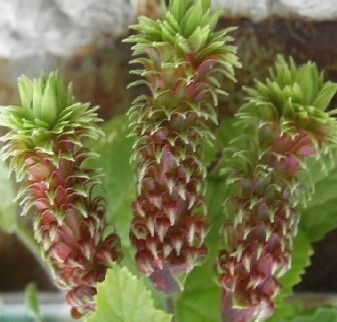 Plants from these two sections do not normally interbreed. Ciconium section of the genus Pelargonium, the same section as the original Pelargonium zonale lycopodioides.